More and more businesses are wondering how to use Pinterest effectively as they embrace this relatively new social media platform. Pinterest is the fastest growing social media platform ever and has almost 50m users. 70% of Pinterest users use the platform to find inspiration on what to buy. In this post I’m going to show you how to pin effectively no matter whether your business is ‘visual’ or not. I’m also going to mention one or two common errors that people are making when they first start to use this rapidly growing and hugely successful social media platform so that you won’t make these errors. Visual pins are the most popular, as demonstrated by these diagrams from Repinly. If your business is visual e.g. travel, food, fashion, your photography needs to be of good quality in order for your images to be repinned and increase traffic to your website. The Better Homes & Gardens magazine has been using Pinterest to huge success, finding it to be their number one social referrer and gaining over a million repins. However, what do you pin if your business isn’t ‘pretty’ or visual. Does it mean that Pinterest isn’t for you? No, it doesn’t mean that at all. It simply means that your pins have to be useful. They can either be infographics or instructographics. The former tends to show all the information in an attractive graphic, the latter either includes instructions within the graphic or makes it clear that if the image is clicked, the user will find the promised instructions in a blog post or on a website. Our business isn’t ‘pretty’, it doesn’t include images of scrumptious desserts or beautiful scenery. It falls into the ‘instructographic’ useful area of Pinterest. We don’t have multiple product images to pin, we only pin our blog posts. Yet, the traffic to our website from Pinterest is considerable – this month it is 45% of all the social network traffic, almost doubling that of Twitter (24%) and Facebook (21%). Now that we are selling online social media courses that can be taken by any English speaking person anywhere in the world we will soon be able to tell the percentage of leads and sales generated by Pinterest. Another social media business recently reported that while Pinterest didn’t drive as much traffic to their website as Twitter or Facebook, it performed better in terms of leads. Research shows that people using Pinterest are more inclined to buy, that they are actively looking for a product, much more so than when they are using twitter or facebook. Hence, if you have a visual product, you must use Pinterest for your business. If your business offers a service or a not-so-visual product, Pinterest can still pay dividends and it is certainly worthwhile using it for 3 or 6 months. Each pin carries the link to where it is originally pinned from hence others can click the image and arrive at your website. Each pin can be repinned multiple times, hence, they have the opportunity to go viral. People using Pinterest are more inclined to spend. People use Pinterest as a means to shop and to find inspiration for gifts, their home and fashion choices. By looking at the boards of your followers, you can establish the interest of your target market and cater for it. Better Homes & Gardens magazine discovered that their new younger reader (whom they attracted because of their presence on Pinterest) is interested in DIY, step by step instructions, baking and gets inspired for the holidays much earlier that BHG anticipated. Pinterest boards are being displayed on the first page of google so do ensure each board’s title and description is well optimised. How Do I Actually Pin Images? You must pin the images from your website. Do not make the mistake of uploading the images on Pinterest itself as then they won’t include a link to your website. Remember your aim is to use Pinterest to increase traffic to your website and leads. If the website has a pin it button beside the products or a pin it plug in on the blog posts, you can use those to pin images. Alternatively you can add the pin it bookmarklet tool to your toolbar and use it to pin images. You will find the pin it button here. When blogging, always ensure that at least one image encapsulates what the post is about so that image is mostly likely to be pinned by readers. Always name the images with the title of the blog post (this saves the reader doing it and helps to ensure that your carefully chosen, keyword loaded, title travels with the pin. Our post on naming photographs explains how to do this correctly. Ensure the photographs on your blog are of good quality. If your product or service isn’t visual, use a photograph that includes some text so it is clear to others that if they click on the image, they will be able to obtain information (as our image above does). Ensure that your boards are in the correct categories and that you have written an optimised description for each board. Because of the column layout of Pinterest, ensure that some of the photographs on your website are portrait. I’ve noticed that many gallery pages have only landscape photographs which won’t attract as much interest on the Pinterest gallery page. Longer pins take up more space – see our post ‘How to create a great Pinterest pin‘. Show your company’s personality via one or two pinterest boards. Have a ‘behind the scenes’ board to show your company’s involvement in community or charity work or to demonstrate the ‘staff of the week’ or similar. Make it fun. Consider holding a contest on Pinterest to grow your followers and reward loyalty. See our post on holding effective pinterest contests. Apparently product pins with prices gain more repins that those without prices. Create boards devoted to products or to specific designers. Pinning pins to popular and active shared boards can result in more repins and more traffic to your website. – See How to create shared boards. People usually glance at your boards when deciding whether to follow your account or not. Set your board covers so that the cover image symbolises what the whole board is about and ensures it looks attractive. Don’t forget to move unseasonal boards to the bottom of the page. See how to set your Pinterest board covers. Pin content that you know your followers will appreciate by pinning quality images from related websites and blogs. Don’t limit your pinterest account to your own images. 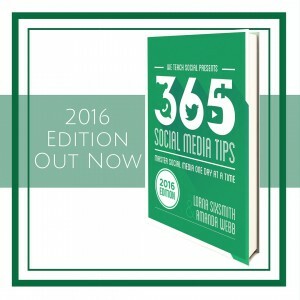 Be seen as a thought leader in your field by pinning original and quality content. People love ‘how to’ and ‘step by step’ instructions so provide these either with multi image pins, an instructographic, an infographic or a link to your blog post. Gain more Pinterest followers by including the Pinterest widget or link in the sidebar of your blog, your email signature, your facebook page and on your website. Remember to pin images from your own website – do not upload them from the Pinterest account. If you have an online store, ensure that the pin it button is placed beside each image as a reminder (and permission) to visitors to pin. Do not pin 20 pins in 5 minutes, particularly if they are of similar content. Your followers will almost view it as spam when they see their gallery page filled up with pins from one pinner. Pin little and often. Remember to re-organise your boards, particularly to move seasonal ones after the event. E.g. Christmas boards should not be at the top of your boards page in January. I hope I have covered everything – do add a comment below if you have found a successful way how to use pinterest for your business that I haven’t included. If you wish to learn how to use Pinterest more effectively for your business and you have just started or are thinking of starting an account, do sign up for our Pinterest online course which starts on 10th June – next Monday. 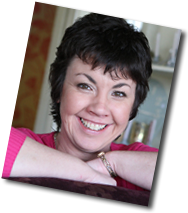 Hi Lorna I was able to display price on upper left hand corner of my pin if I put the price in the description (it then just automatically appeared on the pin) but I switched option yesterday to the ‘new look’ Pinterest and all my prices have disappeared . I got onto Pinterest help and they say that I now have to go the ‘rich pin ‘ route – is this your experience ? As it will mean having to get a developer to re do this for me again . apologies for delay in replying – I was away for a couple of days and then catching up. I’ve been investigating. Yes, the rich pins will need web developer assistance. 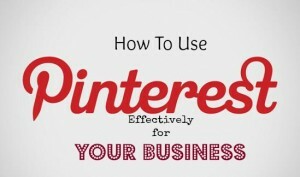 This is a great article on using Pinterest for marketing. It is very thorough, and brings in some new statistics and suggestions that I haven’t seen before. I’ll be repinning this to my Pinterest for Business Marketing board! I’d also like to introduce you to my company, which is geared toward those using Pinterest to promote a business. Pin4Ever provides Pinterest backups to protect your pins, likes and boards from accidental or malicious deletion due to computer malfunctions or hackers. We’ve saved more than 17 million pins for our customers since September 2012. 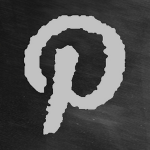 Please visit http://www.pin4ever.com to try a free backup of your Pinterest account! Lots of great information. I only just created my own subdomain website and blog about a month go, As I am a franchise owner of Driving Miss Daisy in Canada. I have wanted to create a Pinterest account for my business but I’m not sure where to start. We are a business that accompanies and assists seniors and people with disabilities to wherever they need to go to. For example, medical appointments, shopping, errands, social functions, etc. We also offer transportation to the airports and cruise terminals in our area, so travel destinations would be a great board, or even a bucket list board. I do not have a whole lot of photos on my website yet, so i am not sure if I should go to other like-minded businesses and pin their pictures. Do you think our business would do well with a Pinterest account? I’ve just had a look at your site and it’s great to see you blog. I suggest ensuring that each blog post should have an image that would travel well on Pinterest thus increasing the click through to your blog posts. We actually have quite a few different target markets: seniors, senior’s family members, travel agencies, care/retirement homes, doctors, specialists, physiotherapy, occupational therapy, etc. I love your ideas about have a board for “travel tips” and “cool cars”. Thanks for the offer of courses. I actually have a CD on using Pinterest for Business, as well as a lot of friends who could help me. It won’t happen in the near future, as I am working on other marketing strategies at the moment, but I definitely want to within the next month or so. Bentley-like cars huh! Interesting. If you have any other ideas, I’d love to hear from you. I think a lot of people assume where there business is not a visual product that Pinterest automatically does not apply. Hopefully we see a lot more small and medium businesses creating profiles in the near future!